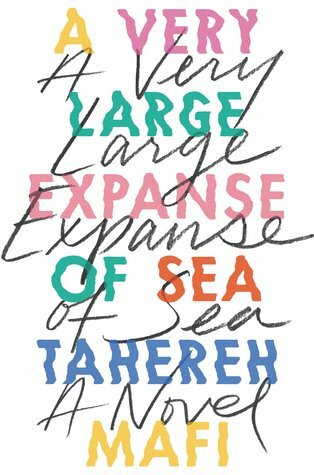 Sign into Goodreads to see if any of your friends have read A Very Large Expanse of Sea. 20.0% "Not to be dramatic but it just hit me that...wow I’m reading a YA contemporary with a Muslim teen navigating friendships and family and having a crush on a cute guy and doing ordinary relatable stuff and I know this isn’t revolutionary for many but as a Muslim teen too, this means more than I can articulate right now"
miya 🦋 wrote: "Watch me run to the bookstore on October 16th"
Aymen wrote: "Considering I’m a Moslem I’ll have a time reading it and giving it the rate it deserves"
Ahh I’m so excited !!! Rimsha wrote: "Ahh I’m so excited !!!" Yasmeena wrote: ""IIIIIIIIIIIIIIIIIIII NEEEEEEEEEEEEEEEED ITTTTTTTTT"
Hanaa wrote: "I have an arc of this! Better get to it"
YAYY I hope you love it!! Hanaa wrote: "Also i love that us Muslim girls are getting more books aboutbus"
WANT TO READ! Good review! Now I want to read this book so badly! Camile wrote: "I have to try to read this again, hopefully today haha"
*slams that Want To Read button*"
would recommend season 4 skam then!! Lisa wrote: "WANT TO READ! Good review!" aahh I hope you love it just as much!!! Andrea wrote: "Now I want to read this book so badly!" Great review! I love this book so far! We need more books like this! Drewthereader19 wrote: "I have this on my tbr! Can't wait to read it soon! (:"
yayy!! I hope you love it!! Em (RunawayWithDreamthieves) wrote: "Drewthereader19 wrote: "I have this on my tbr! Can't wait to read it soon! (:"
yayy!! I hope you love it!!" vasi wrote: "would recommend season 4 skam then!!" Mel wrote: "Great review! I love this book so far! We need more books like this!" thank you so much 💕 I’m so glad you loved it as well!!! Haleema wrote: "This makes me so happy"
Shaira wrote: "crying happy tears ❤️❤️❤️"
ℓуηη, ℓσкιѕℓутнєя¢ℓαω wrote: "The literary world is making progress, little by little. I'm happy for you that you can finally enjoy books like this 💜😊 And now I must add this to my list"
Rida wrote: "Yes this makes me so happy too :')"
Caitlin wrote: "I’m so happy you found this book!!! And I’m even happier it exists, I hope we keep progressing in literature as time goes on :) I’m definitely going to read this book 💜"
Representation is so important! Your review was so heartwarming to read. This is definitely going on my to read list! I vowed never to read anything from this author after how awful I thought Shatter Me was... should I given in and read this or should I avoid? Personally I was really put off by the romance, but it's really great to hear that this story is important to you. This stuff matters. Amanda Danii Reads wrote: "Representation is so important! Your review was so heartwarming to read. This is definitely going on my to read list!" thank you so much!!! I hope you love it! Jenn wrote: "Beautiful review <3"
Kat wrote: "I vowed never to read anything from this author after how awful I thought Shatter Me was... should I given in and read this or should I avoid?" I personally haven't read her Shatter Me series but I really enjoyed this one, it was heartwarming and you can easily breeze through it in one day!